Paul Pinckley is a L-1 certified CrossFit coach as well as a recognized USA Weightlifting Sports Performance Coach. After the birth of his daughter, Paul took to CrossFit and began placing an emphasis on fitness. He is on e of the most knowledgeable people that I know. Paul has a habit of climbing down rabbit holes of information and not coming out until he knows everything that there is to know in any given area. I have been fortunate enough to have been coached by Paul, but most importantly, had the opportunity to watch Paul coach others. He truly enjoys watching people to succeed and has a real knack for meeting people where they are and beginning to progress from there. I am glad to know Paul not only as a coach, but to have him and his family as part of my life. Raising children, getting fit, staying sane, and enjoying life is something that we have placed a great deal of priority, and Paul is really good at keeping a good prospective as to why it is important to do all of those things. 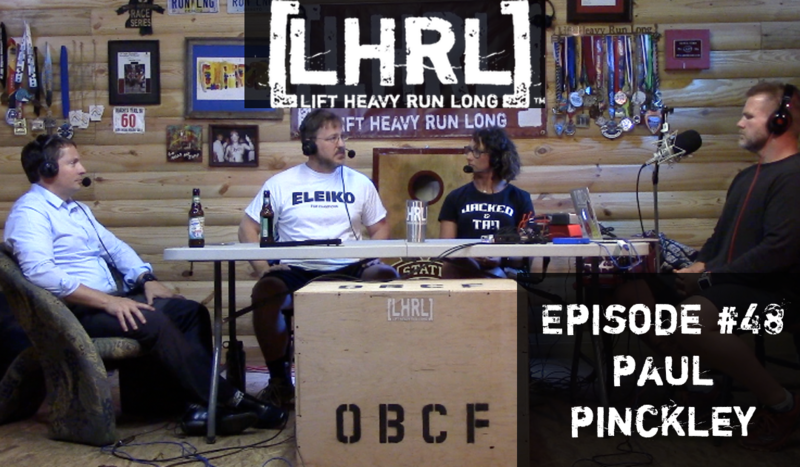 Enjoy LHRL #48 with Paul Pinckley. I’m wondering what Paul and Von are drinking. Maybe an afternoon Lager or a nice Stout? Just kidding – another good episode! Thanks Tim! Yeah, they were drinking a Sweetwater 420 extra pale ale. When I drank, I never evolved much past the Natty Light, Milwaukee Beast, or Bud Light level, so as a non-drinker I’m always curious as to what they have a taste for. If you get the chance, watch episode #41 with Brian Swanson…that dude takes his beer game to the next level.